Dammam, Saudi Arabia: GE today marked a significant milestone in its eight-decade-long presence in Saudi Arabia by officially opening Phase II of GE’s Manufacturing & Technology Center (GEMTEC) and announcing expanded capabilities including the ability to manufacture HA and F-class turbines at the facility. GE’s HA turbines are the world’s largest and most efficient, leading the industry in output. The opening today coincides with the completion and delivery of GEMTEC’s first 7F turbine to Saudi Electricity Company’s Waad Al Shamal combined-cycle power plant. GE’s Chairman & CEO Jeff Immelt joined senior officials of the company and partners to inaugurate the second phase of GEMTEC, which now joins the ranks of GE’s global gas turbine manufacturing facilities such as in Greenville, South Carolina and Belfort, France. Phase II of GEMTEC will continue to develop an integrated industrial ecosystem in the Kingdom, through local, Saudi-driven manufacturing, services and R&D. It creates more than 150 high quality jobs for Saudi professionals and draws on more than 300 Saudi suppliers to provide gas turbine parts that are manufactured locally. The expansion also adds 9,000 sq m of manufacturing space to the facility, taking the total area to 26,000 sq m – the size of 100 tennis courts. In addition to the enhanced manufacturing competencies, the facility offers services and repairs for gas turbines, as well as the first balance of plant (BOP) test and inspection services in the region. The expanded GEMTEC also has a dedicated Monitoring & Diagnostics Center – Saudi PowerGen Efficiency Center (SPEC) – for gas and steam turbines, which opened earlier this year. Another core component of the expansion is construction of a dedicated building for the Hot & Harsh Center of Excellence. Researchers there will study the effects of high temperature, dust, corrosion, erosion, duty cycle, and fuel harshness on the reliability and efficiency of power plants. This facility – expected to be complete by the end of 2016 – will design and prototype gas turbines and auxiliary components for testing. Today’s announcement also marks the transformation of GEMTEC to a ‘Brilliant Factory,’ the first of its kind in the region. GE has introduced advanced digital industrial capabilities to GEMTEC, including sensor-enabled service center equipment to provide utilization and performance data in addition to diagnostics. GEMTEC also utilizes real-time monitoring of all utility consumption, and site equipment and infrastructure can be fully controlled and monitored remotely using GE’s brilliant manufacturing suite of services. As part of GE’s US$1 billion investment in the Kingdom, GEMTEC was expanded in 2012 intensifying its computerized numerical control (CNC) machining capabilities, coding and analytic services and robotics. With over 500 skilled workers, 70 percent of them Saudi professionals, GEMTEC today serves more than 70 customers from 40 countries around the world, servicing components from more than 600 turbines. More than 60 percent of all gas turbine manufacturing and components at GEMTEC are exported to customers around the globe, further strengthening Saudi Arabia’s competitiveness and supporting the Saudi Vision 2030 to create an exports hub. As part of GE’s commitment to drive localization, GEMTEC also joined hands with National Power Academy (NPA) to train Saudi engineers to be a part of their skilled workforce. 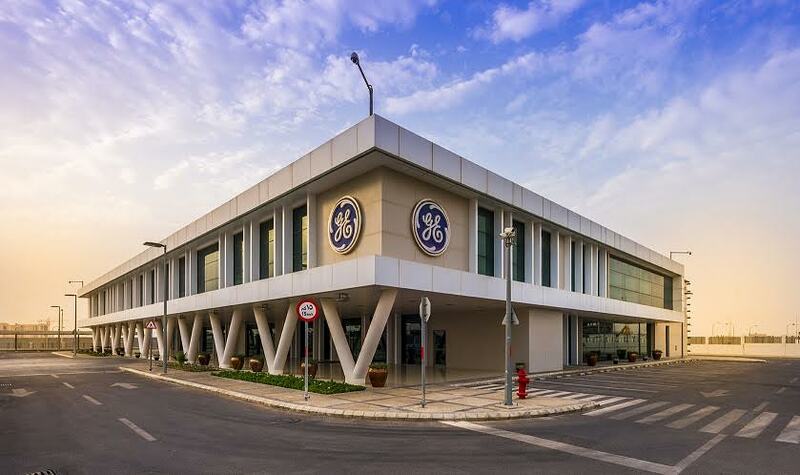 GE is also collaborating with KAUST and Technical & Vocational Training Center (TVTC) for training Saudi students for potential careers at GEMTEC. Of the 250 students trained to date, 200 are employed across diverse businesses of GE in the Kingdom including at GEMTEC. With a presence of over 80 years, three offices and seven facilities, Saudi Arabia accounts for the largest GE workforce in the Middle East with over 2,000 employees driving the Aviation, Healthcare, Oil & Gas, Power and Transportation businesses. GE (NYSE: GE) is the world’s Digital Industrial Company, transforming industry with software-defined machines and solutions that are connected, responsive and predictive. GE is organized around a global exchange of knowledge, the “GE Store,” through which each business shares and accesses the same technology, markets, structure and intellect. Each invention further fuels innovation and application across our industrial sectors. With people, services, technology and scale, GE delivers better outcomes for customers by speaking the language of industry.